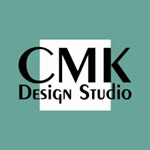 CMK Design Studio, Inc. is a full service architecture and interior design firm located in St. Petersburg, Florida. Client projects have been diverse in scope and include corporate, tenant improvement, retail, industrial, multi-family, residential, educational and government facilities. The firm is owned and managed by licensed Interior Designer Cara Castle and licensed Architect Marcos Ibargüen. Both are LEED accredited and offer a combined total of over 40 years of architecture and design experience. CMK listens to your expectations and carefully reviews your requirements in order to provide you with creatively inspired solutions. We understand that client satisfaction is achieved through exceeding expectations, meeting schedules and budgets and providing a seamless project experience. CMK strives to build lasting relationships with all clientele based on professionalism, reliability and effective communication. No matter the size, budget or scope of the work, the integrity of the client relationship is the key factor to a successful project.